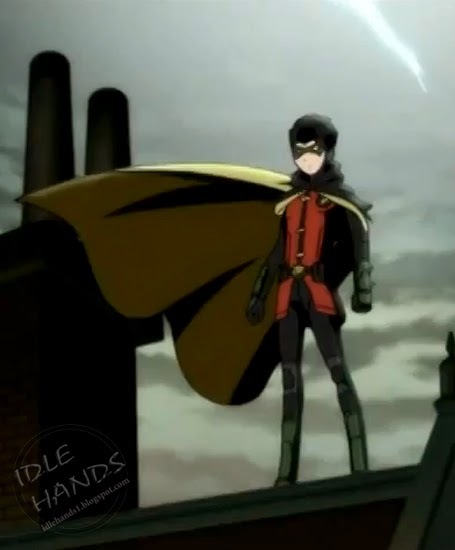 Based on the Batman story arc a lot of you have told me you didn't much care for, especially considering the thunderous applause heard across the internet when they killed off the lil Bat-brat, Warner Brothers Home Video premiered their first trailer for Son of Batman today. Voice actors include Jason O'Mara as Batman/Bruce Wayne; Stuart Allan as Damian; Morena Baccarin as Talia, Damian's mother; Giancarlo Esposito as Ra's Al Ghul; David McCallum as Alfred Pennyworth; Xander Berkeley as Kirk Langstrom (Man-Bat); and Thomas Gibson as Deathstroke. 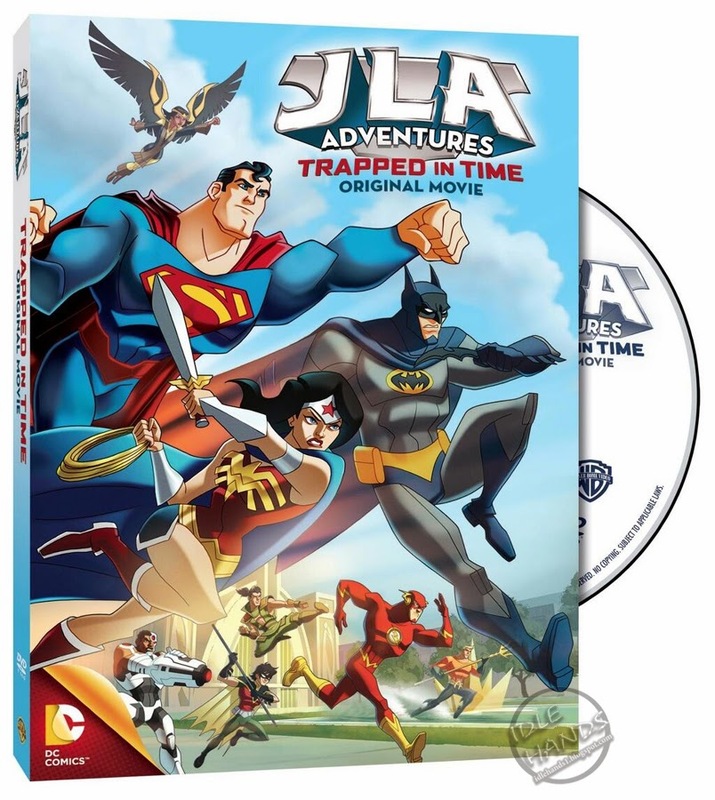 Meanwhile, JLA Adventures: Trapped In Time sneaks into Target stores this Tuesday! There's been a very predictable model to the release of the Warner Brothers direct to DVD and Blu-ray animated DC Comics films to date with endless teases, a trailer, clips and then sneak preview screenings preceding every release. Now it seems WB are cheating on us grown up geeks with some additional cartoonage for the lil fan boys and girls in your house. That fact that this is the first we've heard of this film, mere days before its release, doesn't inspire confidence in the title.